July is National Ice Cream month, so let’s kick things off with an ice cream social! 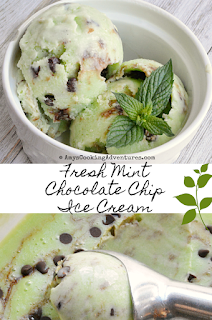 Spud and I love mint chocolate chip ice cream, so we decided to give that a whirl using the fresh mint we have growing in the backyard! Things were going swimmingly until my ice cream maker (which is fickle at the best of times) decided to just plain old quit. Dude (who wants to be an inventor when he grows up) dismantled it in the garage and found it riddled with cheap parts. It’s a goner. So I had to take my beautiful custard, toss it in the freezer, stir it every so often, and hope for the best! And really, I’d love to remake this ice cream with a functioning ice cream machine, because without the ability to churn, my mint ice cream was a bit icy. 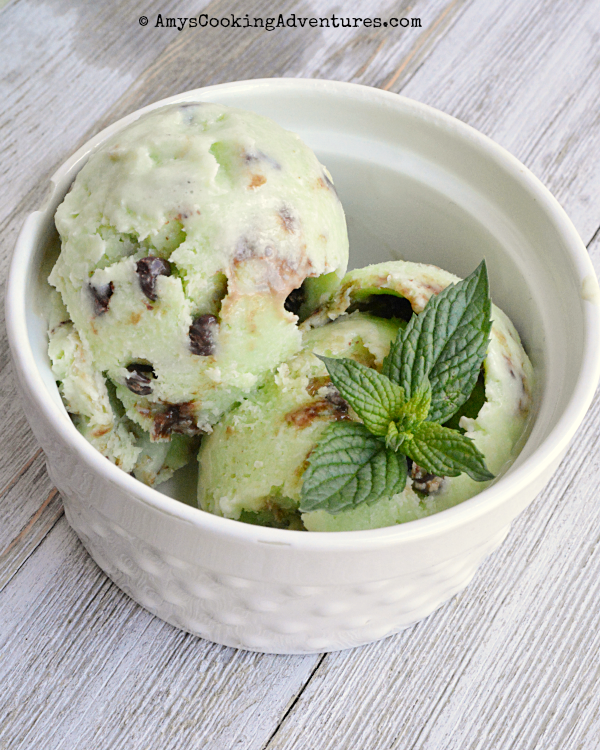 Now, a note on fresh mint ice cream: if you’re used to the stuff in the store, the flavor profile of fresh mint ice cream may come as a bit of a shock. It is certainly minty, but there’s a certain earthiness to it. I thought it was yummy on its own, but even better with a scoop of chocolate ice cream right next to it! Spud said it tasted like basil – haha. I think it’s his way of saying that is tastes a little herby – he’ll take the mint extract version thankyouverymuch. Place the heavy cream and milk in a small saucepan over medium heat. Heat until the cream is steaming and bubbles are just beginning to form at the edges of the pan. Remove from heat, stir in mint leaves and cover. Set aside to allow the mint to steep for 2-3 hours. In a medium saucepan, whisk together the eggs and sugar until well combined. Strain the cream mixture into the egg mixture. Press the mint leaves against the strainer to extract as much flavor as possible. 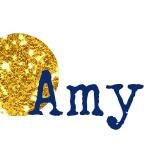 Cook the egg mixture over medium heat, whisking constantly until the mixture reaches 170 degrees F. Remove from heat and stir in the vanilla, salt, and food coloring (if using). Pour the custard mixture into a bowl. Cover and refrigerate overnight. Prepare an ice cream maker and churn according to manufacturer instructions, stirring in the chocolate chips near the end of the churning process. For harder ice cream, pour the soft serve into a freezer-safe container (drizzle with chocolate syrup, if desired) and freeze 1-2 hours or until hardened. Place the heavy cream and milk in a small saucepan over medium heat. Heat until the cream is steaming and bubbles are just beginning to form at the edges of the pan. Remove from heat, stir in mint leaves and cover. Set aside to allow the mint to steep for 2-3 hours.In a medium saucepan, whisk together the eggs and sugar until well combined. Strain the cream mixture into the egg mixture. Press the mint leaves against the strainer to extract as much flavor as possible.Cook the egg mixture over medium heat, whisking constantly until the mixture reaches 170 degrees F. Remove from heat and stir in the vanilla, salt, and food coloring (if using).Pour the custard mixture into a bowl. Cover and refrigerate overnight. Prepare an ice cream maker and churn according to manufacturer instructions, stirring in the chocolate chips near the end of the churning process. For harder ice cream, pour the soft serve into a freezer-safe container (drizzle with chocolate syrup, if desired) and freeze 1-2 hours or until hardened. I use fresh mint in my smoothies all the time and love the flavour of it, but had never thought of using it in ice cream! You bet I will be trying this recipe! Mmmm! I love mint chip ice cream. Too bad about the ice cream maker though! I think I could use sugar substitute in this for my hubby and surprise him! He loves mint chocolate chip and it's hard to find sugar free in the store! Thank you! Oh, yum! One of my favorite flavors! Sorry about the ice cream maker but your ice cream looks lovely all the same. Sorry the machine broke. Dude sounds like my kinda kid! 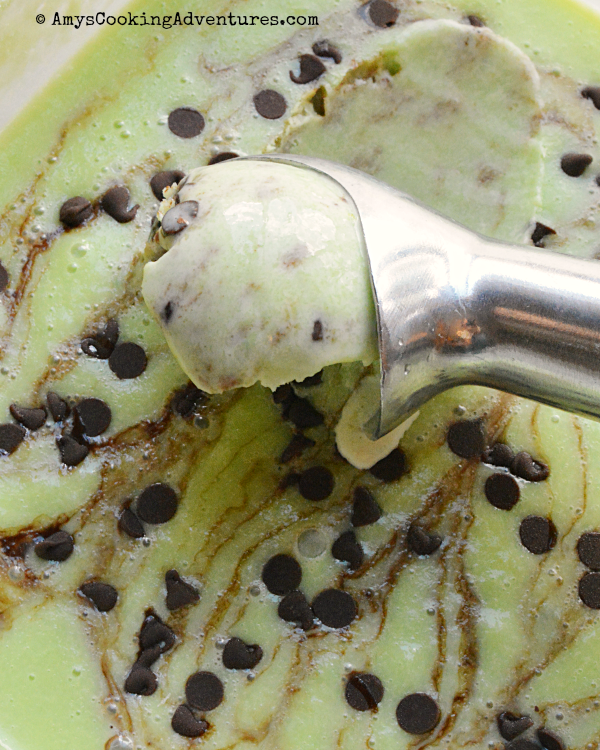 And this fresh mint ice cram looks amazing. Mint chip is always a fav!